about the threat of criminal gangs operating in the Houston area and provide a means for them to report criminal activity anonymously. 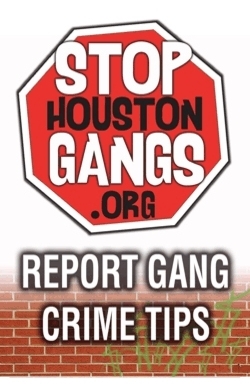 in identifying indicators of gang involvement and provide more information about prevention and intervention program services available in the Houston area. on the dangers and consequences of joining a gang, give them information on how to get out and provide a means for them to submit anonymous tips or leads to prevent and solve gang related crimes. Improve communications between Multi-Agency Task Force Partners.